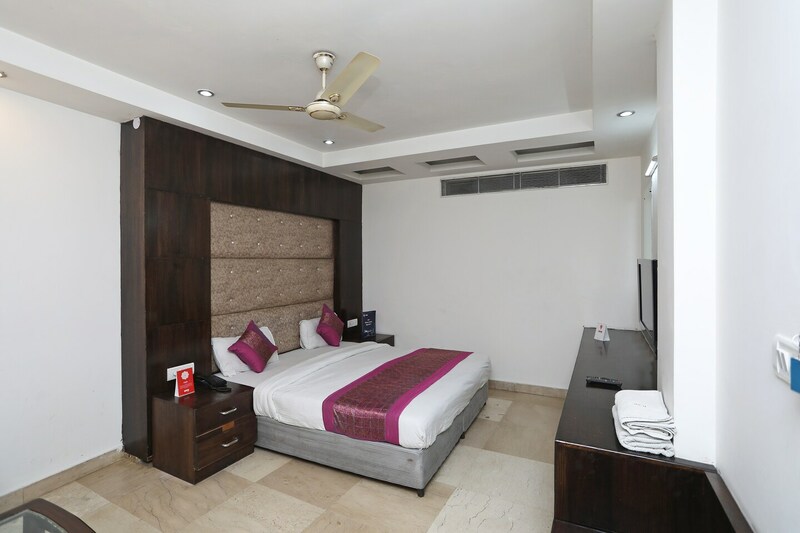 Hotel City Heights is a premium hotel located in Paharganj, Delhi. The property is just a 5 minute walk from the main road. Some of the nearest tourist attraction spots are Qutub Minar, Red Fort, Lodi Garden, and Zafar Mahal.There is an in-house restaurant and a dining area. All the rooms of the hotel come with an air conditioner, a king sized bed, a seating area, and a television. Free Wi-Fi is provided throughout the day. Nearest food joints are Exotic Rooftop Restaurant and Cafe Vagabond.